The tutorial took place on Sunday 30th of September 2018 in ESWEEK 2018 (Torino, Italy). Modern real-time systems must cope with different sources of variability. Modern hardware processors introduce several sources of variability in the execution time of the software (cache, pipeline, bus contention, etc. ); and the timing of external events may change due to changes in the environments, malfunctions, etc. 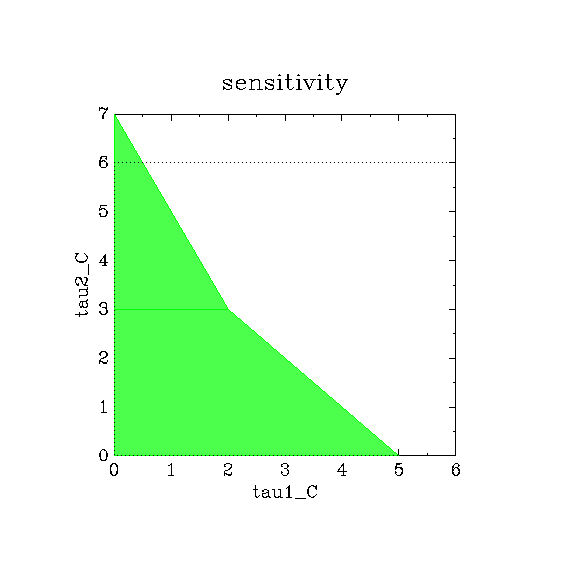 This variability adds additional challenges for the design, development and validation of modern cyber-physical systems. It is then necessary to estimate the robustness of the system w.r.t. variations of the parameters. A key issue is to estimate for which values of the parameters the system continues to meet all its timing constraints. 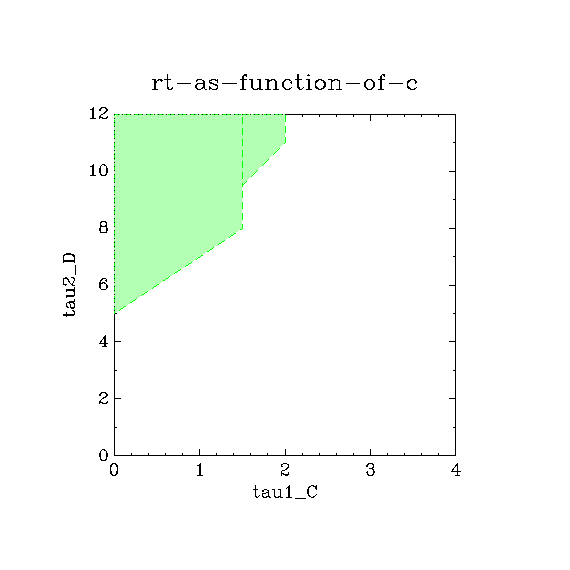 In this tutorial, we present the background for analyzing real-time systems using formal methods, and notably the formalism of parametric timed automata to analyze real-time scheduling under uncertainty. Then we will give a survey of some real-time scheduling problems, and we will show how to model a typical real-time system using the IMITATOR tool. The participants will be guided toward building and verifying a model of a real-time system, exploring the capability of the analysis tool. 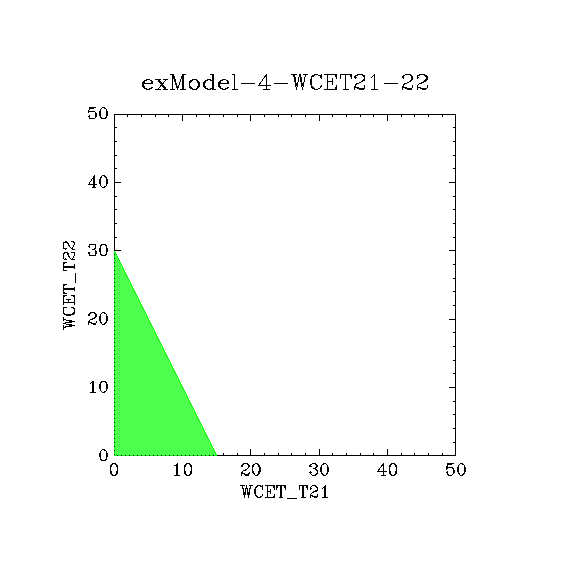 This will generate a file exModel-pta.png This model is non-parametric. 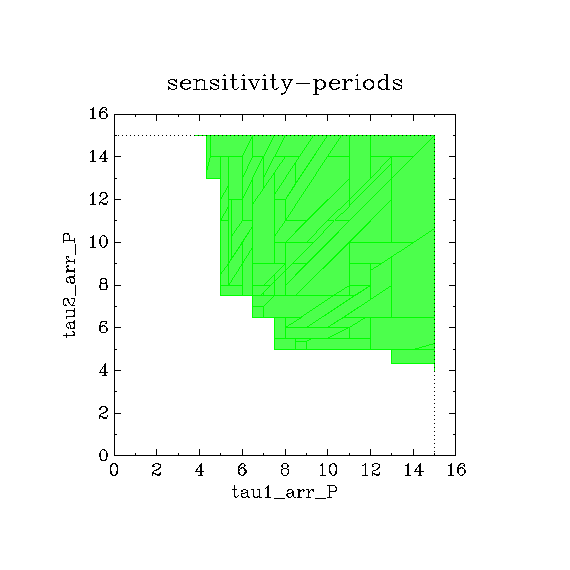 Which real-time system is this model modeling? 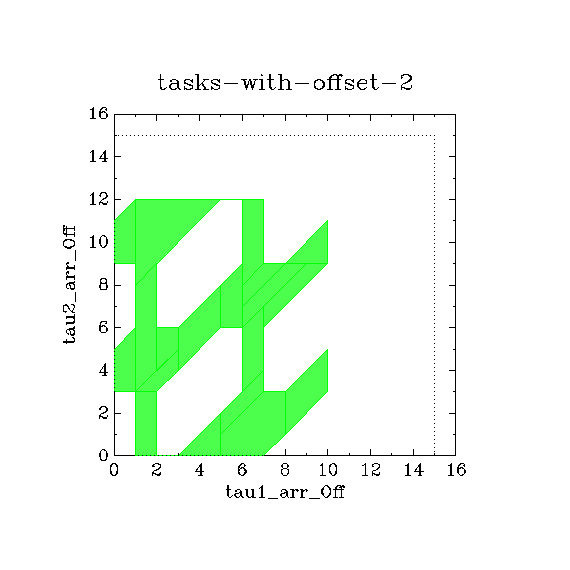 How many tasks? How many processors? Which tasks are triggered by other tasks? Are periodic? Are sporadic? The system is schedulable if and only if the answer of safety is "true", i.e., no deadline miss is reachable. The system is schedulable for exactly the set of valuations output by IMITATOR. The system is schedulable for exactly the set of valuations output by IMITATOR. 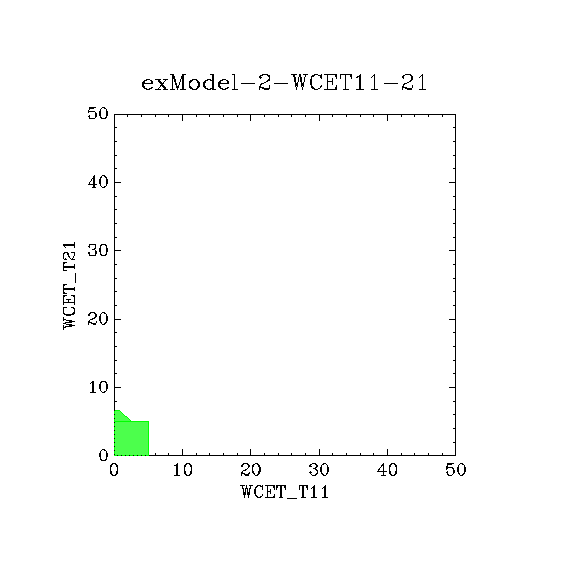 The generated file exModel-2-WCET11-21_cart.png shows a graphical representation of the schedulable parameter space. Giuseppe Lipari, Sun Youcheng, Étienne André and Laurent Fribourg. Toward Parametric Timed Interfaces for Real-Time Components. In Étienne André and Goran Frehse (eds. ), SynCoP’14, EPTCS, April 2014.